Visit our Training Page for a complete list of Region V Systems' current trainings. Strength-based, intensive individualized care management for individuals with serious or complex needs. Region V Systems will be closed on Thursday, March 7. Employees do not need to report to work. If you are a client and have an emergency or personal crisis, you may contact CenterPointe Crisis Response at 402-475-6695. The Regional Governing Board (RGB) meeting for Region V Systems and Region V Services has been CANCELLED for Monday, February 11, 2019, due to impending travel conditions. 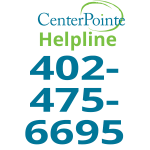 If you are experiencing an emergency or personal crisis outside of normal business hours, please call the CenterPointe Helpline at 402-475-6695. Help is just a phone call away 24/7, 365 days a year. Region V Systems contracts with a network of behavioral health community providers who offer a broad array of services designed to assist both adult and youth consumers reach their goal of recovery and to live, work, and be full participants in their communities. We take a “client-centered” approach to service planning—community based and individualized to meet the needs of the client and their family. The Region V Systems logo represents our commitment to promote comprehensive partnerships in behavioral health. Partnerships with providers, consumers, the Nebraska Department of Health and Human Services, and other stakeholders are ever evolving through evaluation, assessment, and implementation of programming to best meet the needs of behavioral health systems and its consumers. The Summer 2019 mini-grant cycle is now in process. To submit interest in grant funding, please visit our grants page. Help us spread the word about this collaborative hiring effort for a LIMHP within our Children’s System of Care! Read the job description here. The Nebraska Tobacco Quitline is still providing a free two-week supply of over-the-counter nicotine replacement therapy (one of the following: gum, patch or lozenge) while supplies last. The Quitline will ship the NRT directly to the caller’s home address. Registered with the Quitline and complete one coaching session. Callers will be screened for medical eligibility to receive the free medication. 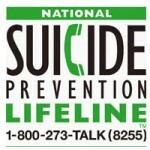 Callers can contact the Quitline 24/7 at 1-800-QUIT-NOW (784-8669). For Spanish, call 1-855-DÉJELO-YA (335-3569). Translation is available in more than 170 languages. Board members and leadership reflect positive support and enthusiasm to achieve the strategic goals of quality care for those we serve. A focused commitment for learning and professional development for all employees. An improved, transparent environment for our providers. “It’s hard to think about getting better when you’re simply trying to survive the day,” said Bridget Thompson, housing coordinator for Region V Systems. “You spend so much time hustling for food and water that everything else seems secondary.” Read more…. GREAT NEWS! For our leadership in recycling efforts, Region V Systems has been awarded the Gold award through the Recycle Lincoln Leadership Recognition Program! Newly developed by the City of Lincoln, the program’s goal is a 30% per-capita reduction in landfill waste disposal by 2040. To earn a Gold award, a business must recycle and/or compost between 40% and 89% of waste generated. This gold-level award is yet another example of our employees’ dedication to community improvement and our organizational culture of striving to achieve excellence in all that we do. Learn more about Region V Systems’ BETA training, aimed to aid LPD in assessing and addressing mental health crisis calls on 10/11 Now. Annually, Region V Systems shares its planning document that identifies the strategic direction for the next fiscal year. Click on the following link to access this document: FY 18-19 Strategic Plan (PDF). Visit our Training Page for details. Region V Systems is seeking applications from individuals who are interested in adult or children’s behavioral health services and wish to serve on the Behavioral Health Advisory Committee (BHAC). We are interested in filling vacancies with persons who possess education, training, competencies, and/or personal life experience in behavioral health. If you are interested in serving on the BHAC, please click here for information on how to apply. CenterPointe, Region V Systems, and the Mental Health Association receive a $1.9 million, 3-year grant for services to house and support people who are chronically homeless. A free recruitment resource has been developed exclusively for Nebraska. In response to the Legislature’s concern with growing behavioral health workforce challenges in our state, a website was developed specifically to promote behavioral health workforce opportunities in Nebraska. 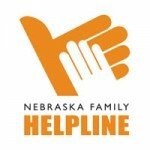 This website was made possible through a collaboration between BHECN (Behavioral Health Education Center of Nebraska) and the Nebraska Regional Behavioral Health Authorities. 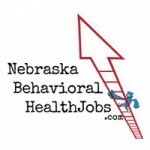 NebraskaBehavioralHealthJobs.com provides a FREE resource targeting employers who want to recruit specifically in the behavioral health field and for job seekers who want to work in this field. Any employer who provides behavioral health services in Nebraska may post unlimited job openings for free. Services are defined as direct or indirect care, including administrative agencies that serve a role in the behavioral health system of care. Because we believe every position in an organization contributes to its overall success, the scope of job postings is meant to include every level in the workforce, from entry-level administrative support to licensed professionals. By creating a customized profile, job seekers may also search jobs and post their resumes for free. Click here for the Q & A fact sheet. NebraskaBehavioralHealthJobs.com also has a Facebook page: please click here and “like us.” Get your friends and family to do the same. The more people who know about this, the more we can get the word out to educate employers and job seekers alike. Please contact Kim Michael, project coordinator, should you have any questions. 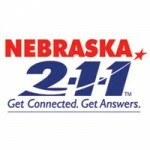 Interpretation Services are available upon request by calling 402-441-4343 or by filling out the Contact Us form.  Please click here for a map of available parking when you come to visit our building. This training is full and we are no longer taking names for the waiting list. This one-day workshop is for behavioral health professionals on assessing suicide risk, planning treatment, and managing the ongoing care of the at-risk client. This training is open to all behavioral health professionals in Region V.